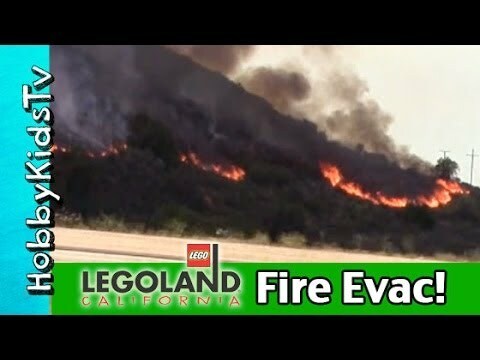 HobbyKidsVids presents our ‘Behind the Scenes’ experience at Legoland when it was evacuated for nearby brushfires. Mickey Mouse from Clubhouse Disney Jr. was our toy host for the day as we noticed the smoke in the sky while at the Fire Station ride inside the Legoland Park. We are okay and safe but they took extra precaution because they were having power outages. This video is a glimpse into our day there and what we captured based on our own footage. This video is of a serious tone and our sympathies go out to those that lost their homes. Remember to stay safe. Please LIKE, SHARE, and SUBSCRIBE for new daily fun videos! “Hero Down” by Kevin MacLeod is licensed under CC Attribution 3.0.